My original plan was to post my Wikipedia addition as my sixth practicum post but I have decided to save it for last as I continue learning new things about my practicum social network sites everyday. I have already explained the specific purposes that I use LinkedIn, Google + and MySpace for and I have dedicated at least one blog post to each of them. 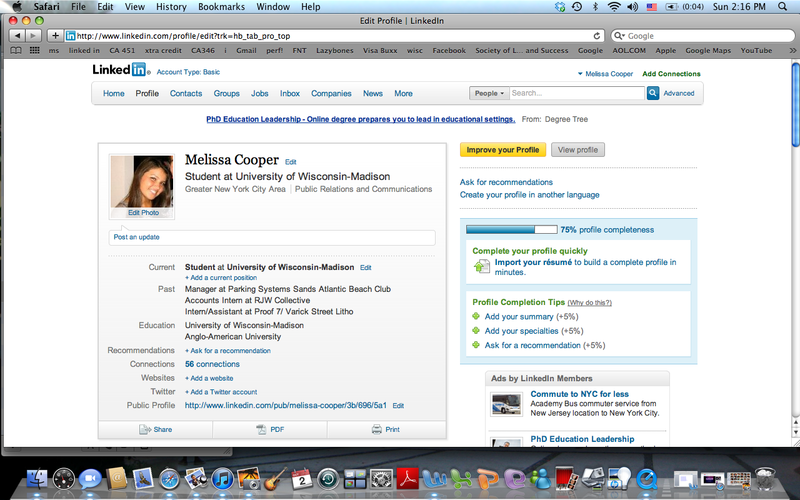 I have also made it clear that out of the three I use LinkedIn the most. 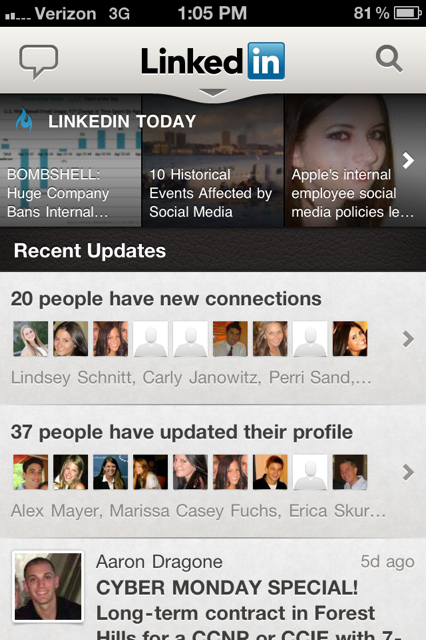 With that being said I found an awesome iPhone app for LinkedIn! This app is so useful especially when I am on the go. 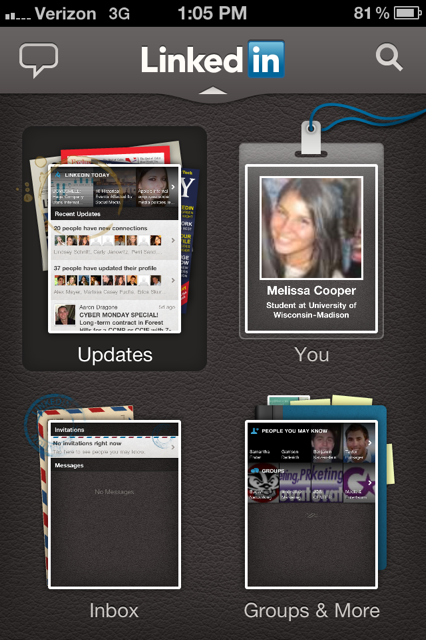 The home screen of the app is divided into four different sections, one consists of updates, another is for my personal profile, one is my notifications inbox, and the last one is all of my groups. I can easily access all of these different sections with my phone and I can accept new connections as well as read new messages within seconds wherever I am. I previously used this app to update my profile a few days ago and it was easier to use on my phone than on an actual computer. Other than following big groups and companies for updates I have also requested permission to join specific groups. 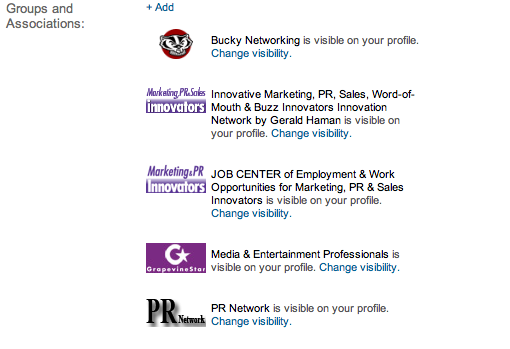 I have been accepted to a bunch and my favorite one that I have gained access to so far is BuckyNetworking. All of these groups provide constant updates and email messages to inform members of latest news and professional opportunities and the site makes it easy to stay involved without making much effort. As for my other two social network sites not much has changed that is out of the ordinary. I have continued to use MySpace for music, news and videos, and I continue to use Google+ similarly to Facebook to form social connections, read status updates and chat with friends through Gmail. My next and final practicum post will be to Wikipedia and hopefully I will be able to add something new that involves aspects of all three of my chosen social network sites! Since I have already made a lot of progress as well as many valuable connections on LinkedIn and Google+, I have been focusing on expanding my presence on MySpace. I have realized that in order to make the best of MySpace, I would have to explore all that the website offers and that I need to start accepting people’s friend requests. The first step that I took as a safety precaution was to hide all of my real personal information, and instead I stated that I am much older than I actually am and that I am also from Tennessee. I kept a true picture of myself, but that’s really the only personal thing that others can see about me on my profile page. Most of the friend requests that I have been receiving are from older men, some of them in their late twenties and early thirties. They have not contacted me at all so I am fine with keeping them as friends. I also have continued to friend some of my favorite music artists as well, which is great because once they accept my request I am granted access to all of their music that is posted weekly. 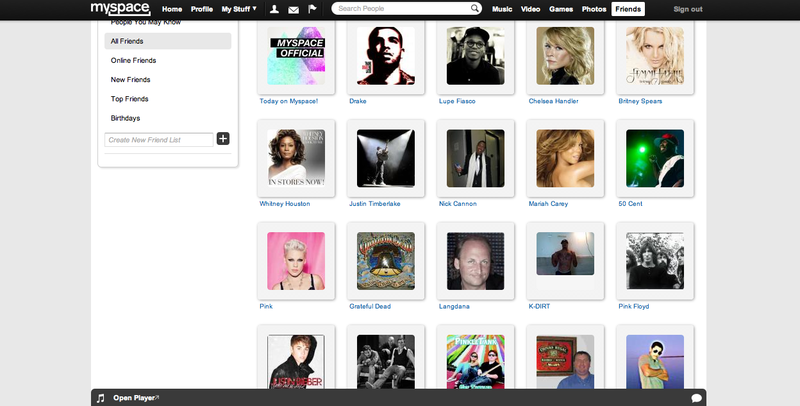 The artists whose pages and content I access the most show up in my top friends. I am also able to customize my own playlist with all of my favorite artists and their newest music and this is pretty cool! Furthermore, although I am not really using MySpace to connect with friends or colleagues like the other two social network sites, I am still using this website in a unique way. 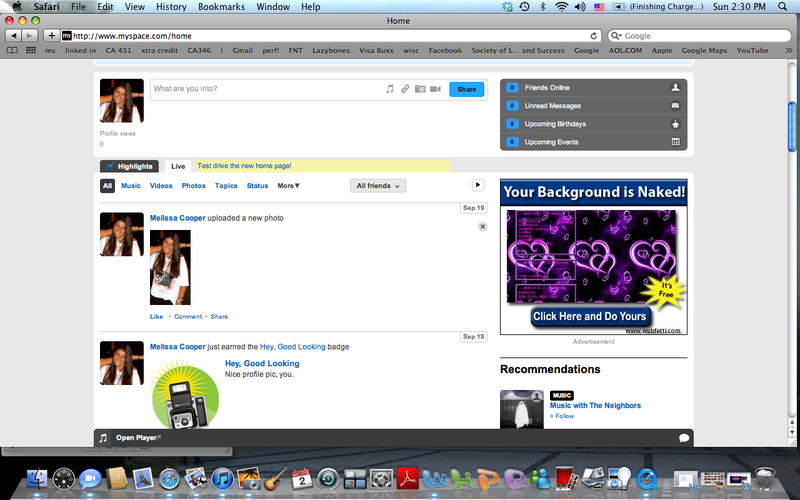 Back in the day when MySpace was popular I used my old account simply to connect with friends and meet new people my age, and it’s interesting to see how this networking site can successfully be used for other purposes. 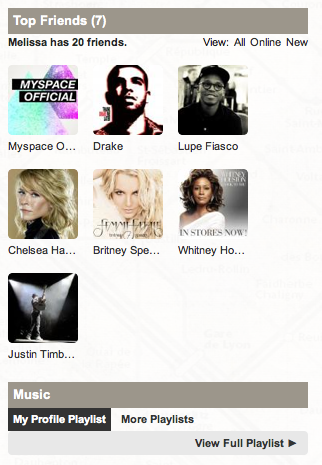 Facebook has similar pages that link to famous artists and musicians, however MySpace lets you access the content in an easier and more enjoyable manner. Lastly one of my favorite aspects of the site is the section where news articles and recent information about artists are posted. 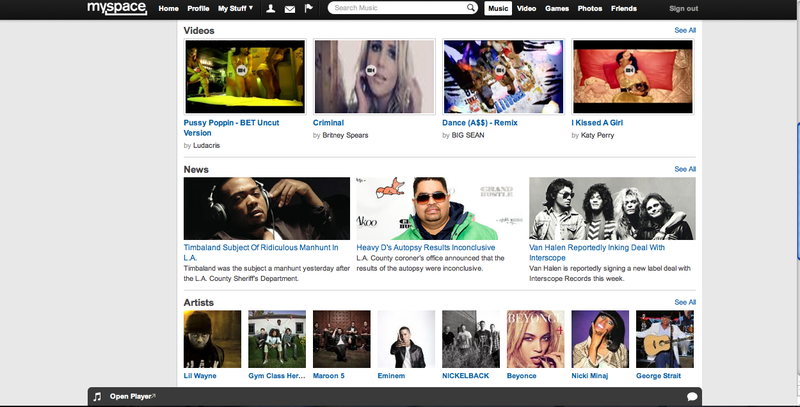 This same section of MySpace also includes music videos along with interesting information about artist and albums. I am hoping that as I keep gaining more friends, that I will start to be able to use the events icon and receive invitations to groups on MySpace. 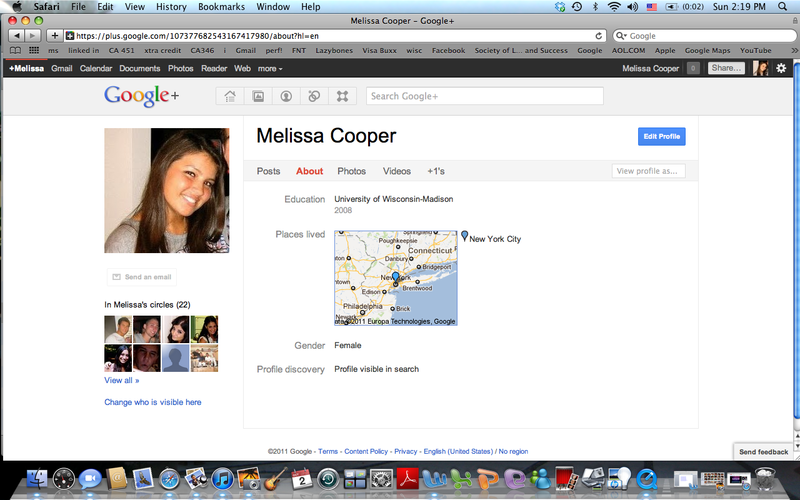 My next post will be contributing to Wikipedia and the topic of social networks so stay tuned! 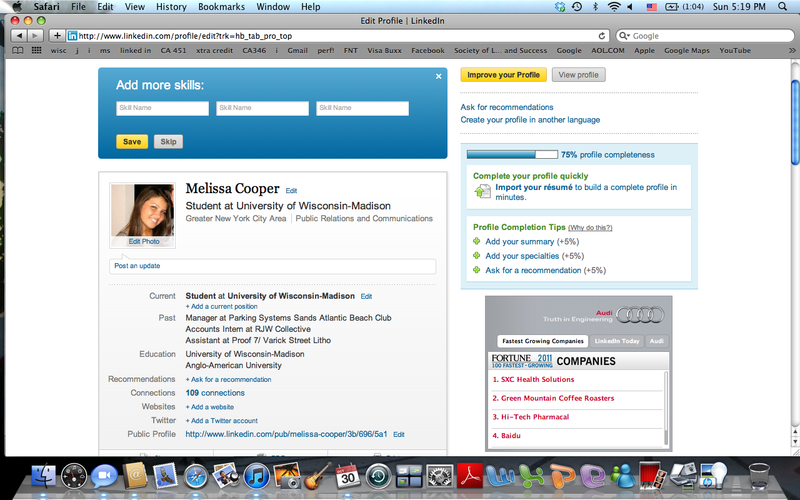 I have made more progress on my social networking sites since my presentation and I am glad to finally be able to say that I am over 100 connections on LinkedIn! 109 connections to be exact. 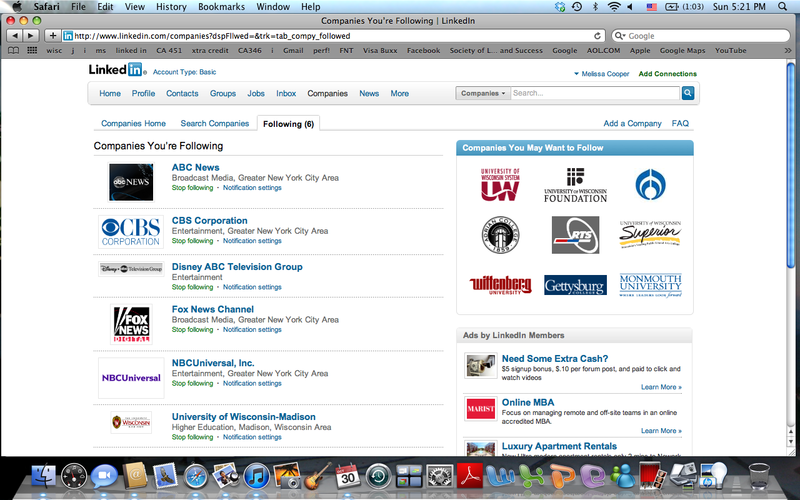 I have also started to follow a lot of businesses as well. I constantly get requests and several updates on who I should follow as well as requests from people in the public relations field. I have stopped focusing on adding friends as much and have been following companies in the career field that I would like to travel towards. I have added a bunch of big networks such as NBC, CBS, Fox and others because I would love to work in the entertainment industry. 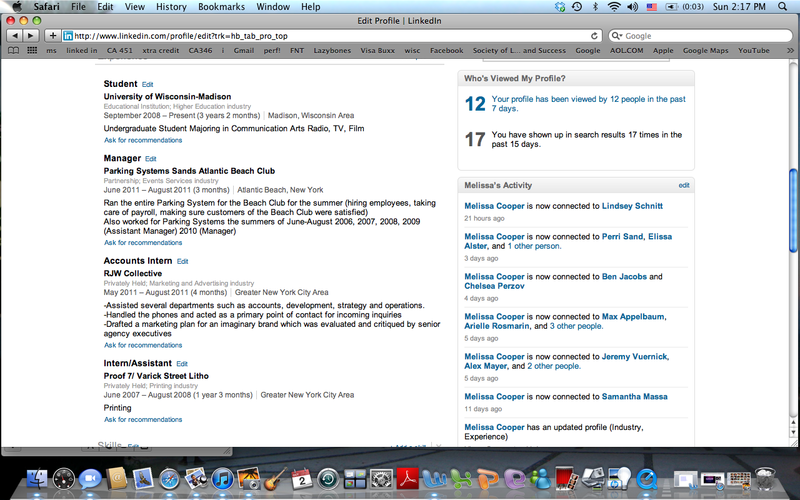 Staying up to date with the latest news about all of these corporations is interesting and important and LinkedIn makes it easy to do so. I have been finding LinkedIn to be extremely useful especially because the site suggests companies and networks for me to follow according to my interests. I will continue to go on everyday and keep making important additions to my profile. 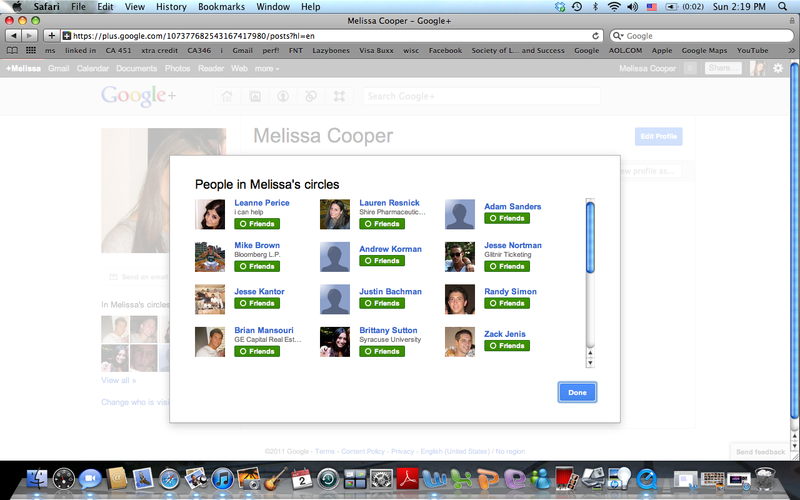 My progress on Google+ and MySpace has been pretty stable and not many interesting things have happened on these sites. On Google+, I keep adding more people to my circles and I have been getting more friend requests and have updated my profile. 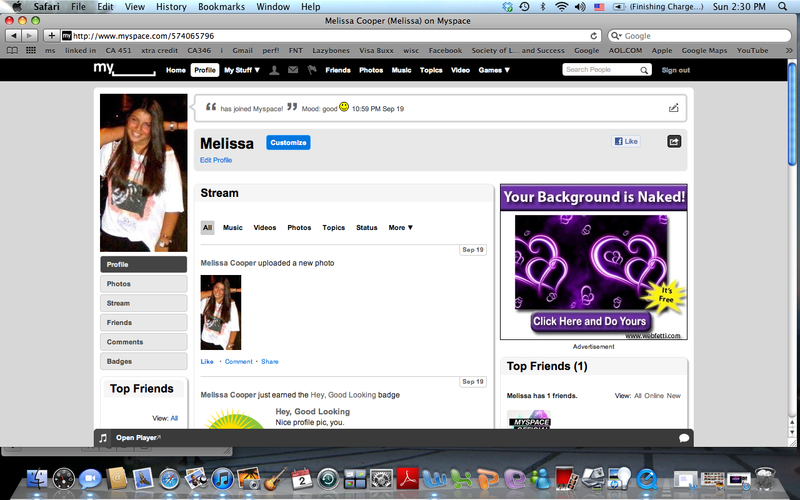 I have also continued to make steady progress on MySpace, and have continued to follow more of my favorite music groups. One thing that I have noted is that the more music groups I follow, the more I end up getting creepy friend requests. At first I figured that maybe I should accept these people just so that I could look at their profiles and see how I can enhance my own profile. But I ended up deleting these new additions, and have not accepted any new friend requests that seem strange just for safety reasons.